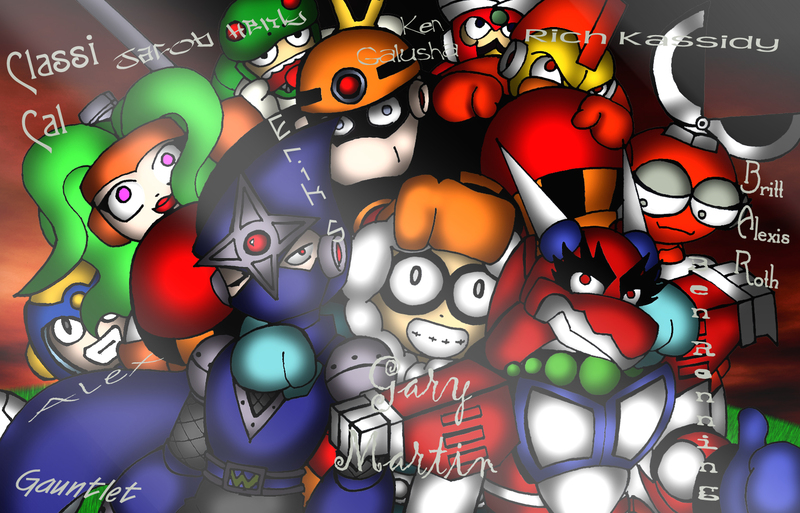 This is a tribute to my good friend Gary Eugene Martin known to most of the Megaman community as Iceman of the Sinister Six. On August 9th of 2006 he fell down a flight of stairs which broke his pinky finger and tore various ligaments (mostly in his knee). I suppose this may not have been an issue normally. Certainly not life threatening. But Gary had serious health problems. Gary had kidney failure for most of his life which means he had to go into Dialysis 3 times a week for 4 hour treatments. Added on to that he had leg and knee problems. Doctors gave him morphine for the pain, but this was too much for Gary. His lungs stopped and he had a heart attack. After that he lapsed into a coma lasting the rest of the month and into September. On the 27thg of September the decision was made to take Gary off life support. He died. Ice was a really good friend of mine. Hell, he was my best friend on the net. Exchanging epilogues and helping each other on our sites was always something I looked forward to. I remember Ice's old Ice Palace site. It was full of class and all that was transferred into the Sinister Six when it was first made. I wanted to help Ice out because I thought he was cool (pun not intended). He was funny and creative and respected. 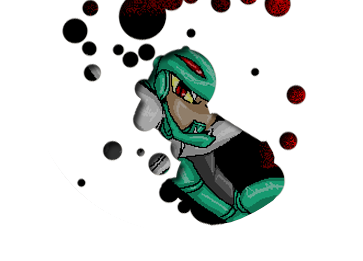 And he came up with the innovative "Megaman Teams" idea as well as the Epilogues. I wanted to help him out, so I gave him some of my manga scans for his old Robot Master Database. I also gave him the PC sprites I made as well as robot master numbers I learned from Rockman and Forte (this was before it became heavily covered ... this was highly sought after info back then). I later joined up with the Mechanical Maniacs and he was one of the first to see my attempts at making epilogues. He really liked them (which was a gamble ... I never actually asked permission to use anything S6 related for Mechanical Maniacs VS the Sinister Six). We later got into chatting and became fast friends. If you've ever read the epilogue "How the Mechanical maniacs first met Everyone" it's based heavily off the first group chat we ever had. When XTGemini figured out the password to the S6 account and hacked it into oblivion (sadly, Gary was pretty loose with his personal info and he had a Geocities account) I rebuilt it all myself and tried to make it even better than before. I helped him get on to Planet Megaman which later gave way to Megaman Community. We were best of buds. I helped to finish epilogues Gary didn't. Even helped him flesh out his masterpiece "Ice VS Red" by giving suggestions on what should happen and even writing a few paragraphs of text. We always joked about our characters and the weird situation we'd write ourselves into. Despite all these laughs Ice got into funks. For a long time he was very lonely. He was teased and disrespected by his co-workers. He had to work right after his dialysis treatments. He had extremely low self-esteem. He thought he was ugly, fat, and a loser. But I'll never think of him that way. Gary had the ability to make anyone laugh and that's a rare thing. He was extremely kind to those he met. He was always fun. Always witty and smart. I think he's the most creative out of anyone I've ever met. And, despite his hardships and occasional bouts of depression, he was a very optimistic, upbeat guy. And now all that's over. Because of a stupid accident Gary is gone. And so are all his jokes, all his suffering and everything else too. All due to a stupid accident. Some people are the type to question God after all this. Some people say life's unfair and that there's no good coming out of any of this. But that isn't so. Not really. What would be even worse would be never meeting Gary at all. Who knows where I'd be without a friend like him around? Life deals you a hand. Sometimes it's a harsh one. But it's one you have to accept. And make the best out of. I'll always remember all the good times we had. Even if it was only on the internet, those times were real to me. Those times may be over, but I'll never forget Gary "Iceman" Martin. And neither will any of the people he's touched. SNL Part 4: The Final Part...Yay! Iceman's Sinister Six bio - The bio that appeared for many years on the Sinister Six. Parting Words - Feelings expressed by friends of Gary. I had to sift through 9 pages of forum posts (and that're still gorwing) to get those that reflected the spirit of those who knew Iceman. Iceman Chat - A chat Ice had saved and that I got a hole of. I'll miss these chats. Here's to you Iceman - a tribute epilogue to my best friend on the net, Iceman. I tried to include the running gags that Iceman started as well as several references to chats we used to have and also references to things that he wrote on old versions of the S6 bios and epilogues page. I'll miss you, Ice. 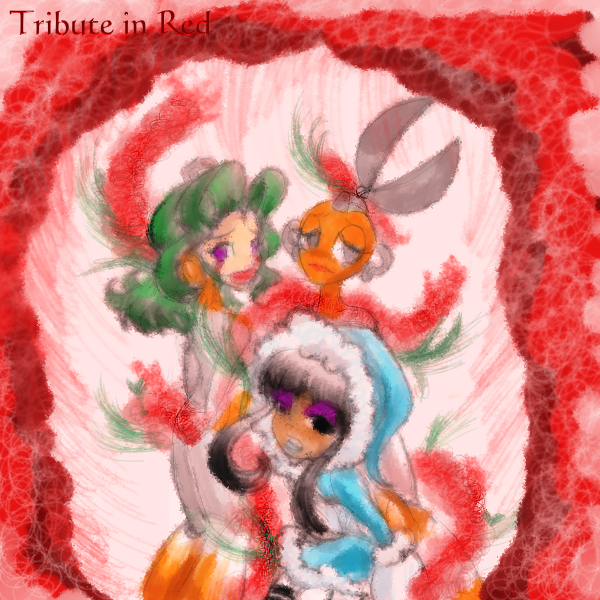 Spark Chan's Iceman tribute picture - Tribute in Red. Quickman's tribute picture - Reaching Out. Seta Mijoku's tribute picture - using sprites. Elecman's tribute picture - using sprites. "Goodbye nothing. I'll see you later."